Are you interested in helping to transform lives for now, and for eternity? If so, EI can help. We have a variety of opportunities for committed Christians who are called to serve Christ in the developing world. We will provide you with a comprehensive training program to develop the necessary spiritual attitude and practical skills for work with the Church in a cross cultural setting. Our partner church, Evangelical Baptist Church Malawi, is looking for a teacher to teach at a church school in the North of Malawi, in Mzuzu. This Primary School has around 300 learners, aged between 6 and 18 (Standard 1 to 8). The language of tuition is Tumbuka and Chichewa for the lower years (Standards 1-4) and English for the upper years (Standards 5-8), but English is the official language for all classes. Subjects taught are: English, Mathematics, Chichewa Science & Technology, Agriculture, Social & Environmental Science, Life Skills, Expressive Art and Bible Knowledge. The teacher would be required to teach, in addition to their specialist subject, Bible Knowledge and integration of Bible Knowledge into all subjects at school. The school is 15km from Mzuzu town, but as accommodation is not available at the school, the teacher will live in Mzuzu where houses can be rented. A vehicle for travelling between school and town is highly recommended. Mzuzu has approximately 200,000 inhabitants. You have to be a qualified teacher with an appropriate degree. The Acholi Girls Fairer Future Project seeks to help girls continue with their education during the crucial transition from primary school to secondary school. In Uganda, primary education is mandatory, and substantial government subsidies make primary schools affordable for struggling families. Secondary schools are not mandatory and are much less heavily subsidized. Families frequently choose not to send their girls on to secondary schools because their school performance often drops due to high absenteeism after the start of their menstrual cycles. Without sanitary pads, girls simply stay home, and missed time in school translates into poor grades, which means many of these girls don’t progress in their education. Emmanuel International has been going to local primary schools, teaching girls 12 years and older about their menstrual cycle and how to manage it, the importance of education, and that they are fearfully and wonderfully made by God. The girls are each given 4 pairs of underwear and 4 reusable sanitary pads. Over the last 5 years, over 20,000 girls have been reached! The key challenge for moving forward with this project is sustainability. 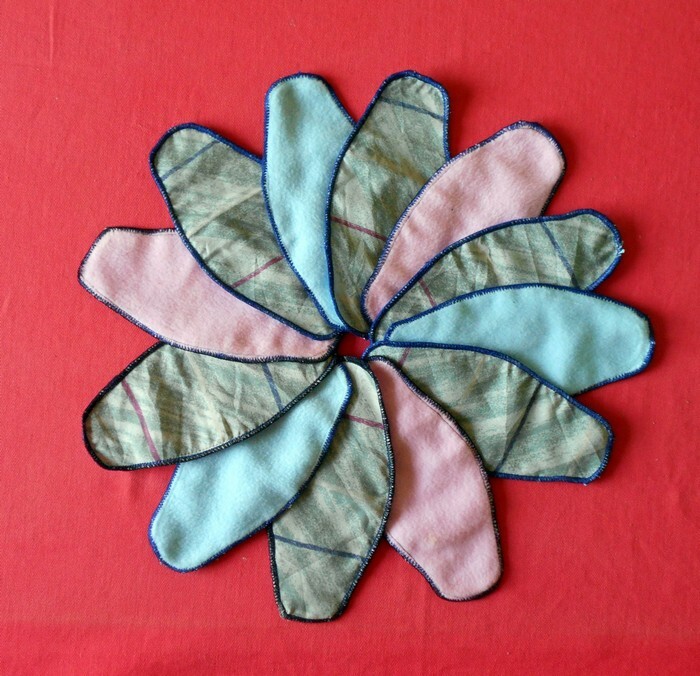 There will not always be an organization to hand out sanitary pads to girls. Currently, many parents do not see the value in buying a pack of reusable pads, often opting for disposable pads or none at all. They could be made part of the school uniform. Since these pads are locally made, there is an economic opportunity for these pads to contribute to the livelihood of tailors in Pader, if only parents could be convinced that these pads are worth buying. The next phase of this project must explore and implement a workable strategy for sustainability. Contract length: Ideally, the person coming to do this work should come for a minimum term of 2 years. The Acholi people have been blessed with vast amounts of land. Compared to other areas of the country, population pressure is not a major problem for most families – yet! Nevertheless, with poor rainfall in recent years, and the fact that most families do not have access to ox-ploughs or tractors, many families cannot make full use of their land, and remain on the margins from year to year, not having enough food both for family consumption and for selling to provide for routine expenses, such as medical care and school fees for children. 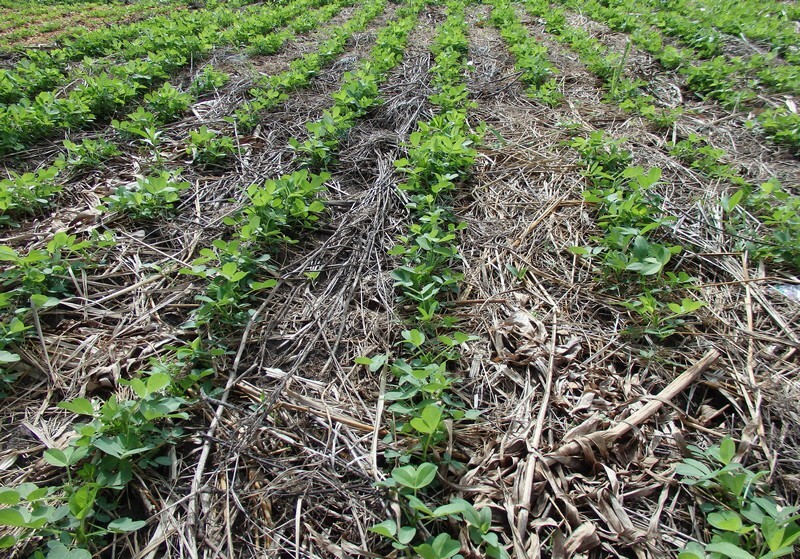 Conservation agricultural methods can help solve these problems. Traditional agricultural methods used in Acholiland include slashing and burning the land, which consumes the nutrients meant to go back into the soil. Traditional methods also leave the soil vulnerable to erosion and the crops exposed to intense sunshine, which can be the difference between crops surviving or perishing during two weeks of drought, or alternatively, flooding due to excessive rainfall. 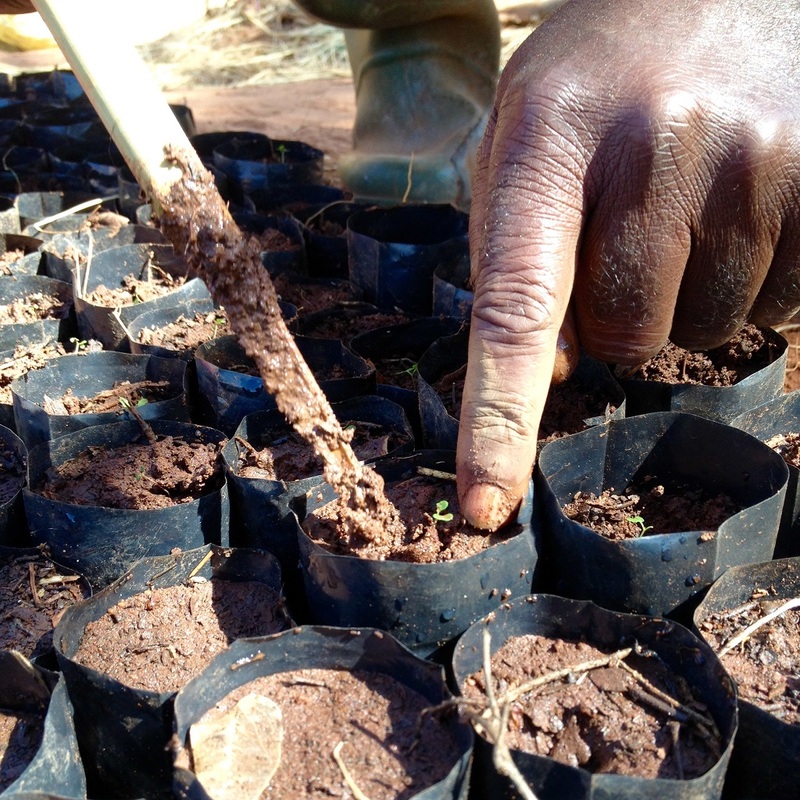 Conservation agriculture seeks to better use the land, and has been shown to increase yields up to ten-fold! To a struggling family, this means they will get more produce for their labour, which translates to better financial stability for the family. Combined with teaching about tithing and good financial management in the church, this can also empower local churches to fulfill their call to transform their communities by giving them the resources they need to follow-through on their visions and goals. In early 2017, Tom Edom from Emmanuel International attended a training in conservation agriculture using the Farming God’s Way conservation agriculture method. He then worked alongside some other men to demonstrate this method on land surrounding the Pader Restoration Resource Centre, where the office of Emmanuel International in Pader is located. The maize is big and healthy, in spite of two weeks of drought which many other crops did not survive, and this has caught the attention of some people, including the church leaders. We would like to continue demonstrating this method, and pilot a set a trainings to help local farmers choose this method and be good stewards of their resources, for the benefit of their families and also to empower churches to fulfill their community outreach and development goals through increased tithing among their members. Contract lenght: Ideally, the person coming to work in this area should come for a minimum of 3 years. Children are the future of any society. 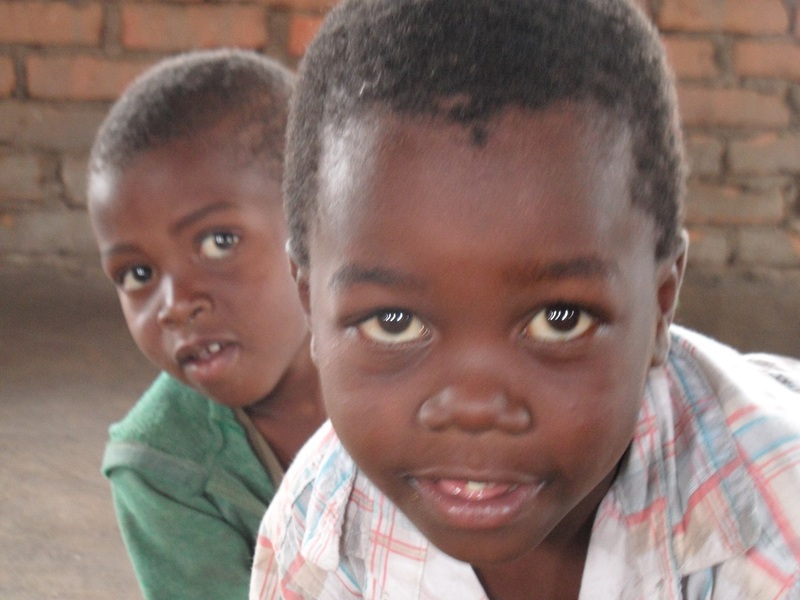 In Uganda, half of the population is under the age of 15 years old. In the past, Emmanuel International in Pader had a long history of children’s ministry, however recent developments have shown a need to refocus. One example of this is in the Jesus Film Outreach. Many of the people who come forward to receive Jesus are children, and yet our follow-up is more suitable for adults. God has opened many doors for Emmanuel International to be working in the lives of children and youth. The Jesus Film ministry has spurred on thinking about how to train up Sunday school teachers in rural churches. 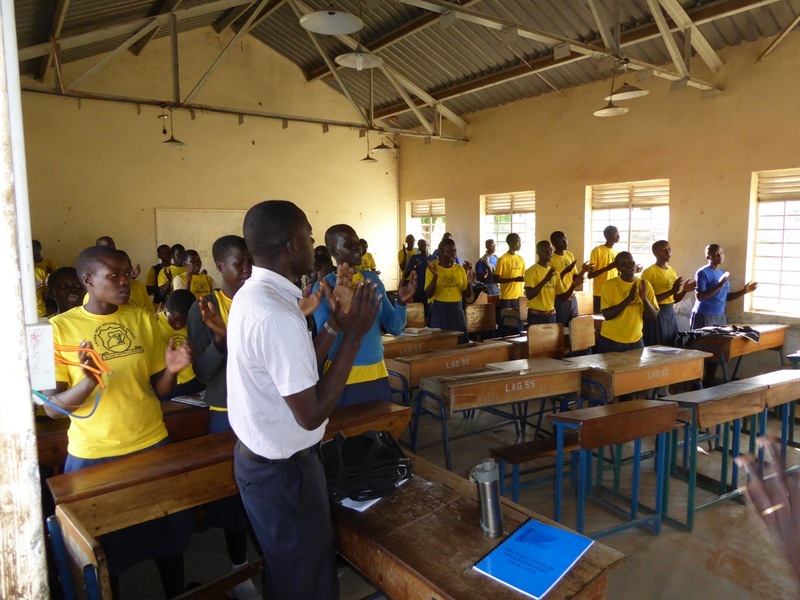 The School Discipleship ministry began last year, which seeks to do capacity building in leadership and discipleship for existing Christian clubs in secondary schools, and to link school clubs to local churches who will invest their time in ongoing mentorship of these teachers and student leaders. In the last few months, an excellent international organization called Scripture Union has come to Pader with materials for primary schools. We expect new Scripture Union clubs will soon starts in local primary schools, and we want to work hand-in-hand with Scripture Union to train up teachers to take on the important role of leading these clubs. Finally, we have also been invited to participate in teaching youth in conferences and vacation Bible camps. Duration of commitment: People who come to work in this area could potentially be short-term or long-term. Emmanuel International in Uganda has a relationship with two theological colleges associated with the Church of Uganda (Anglican). The first college, Janani Luwum Theological College in Gulu Town, is a long-established college with certificate and diploma courses for students at the Reverend and Lay Pastor (Catechist) level. The second college, Bishop Lee Rayfield Leadership Training Centre in a small rural centre near Pader Town, is a newer college still working on accreditation and proper infrastructure, and offers certificate courses at the Lay Pastor (Catechist) level only. Both colleges have expressed a need for tutors to teach subjects, and Bishop Lee Rayfield has also expressed a desire for help with administration. Subjects taught at the colleges include: Systematic Theology, Old Testament, New Testament, Church History, Preaching, Worship, Christian Education, Development Studies, English Language/Study Skills, African Traditional Religion, and Islam. Emmanuel International has also been approached by local church leaders who have expressed a desire for in-service training for their pastors and lay leaders. Duration of commitment and role: Opportunities for people to come in this area of work can be long-term or short-term, and the exact role would be dependent on the background and qualifications of the applicant. This role could also be combined with any of the other work areas currently available. 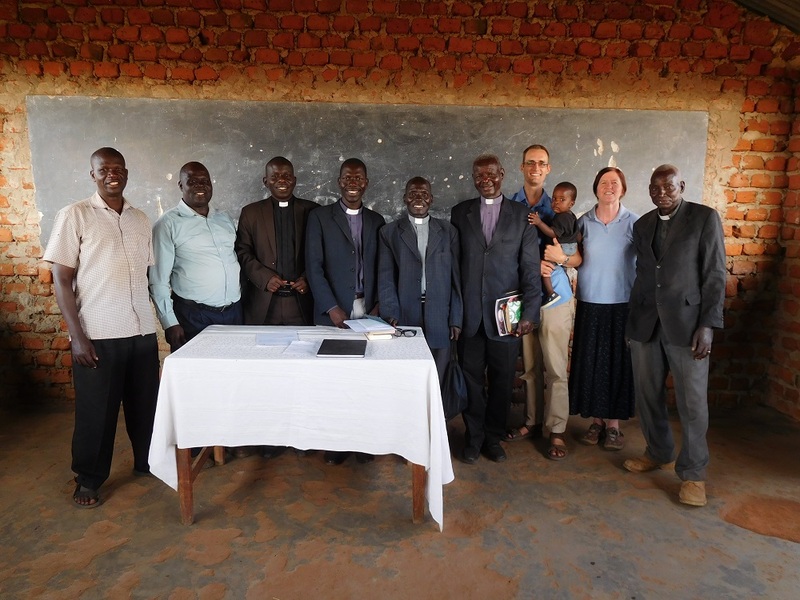 Emmanuel International (EI) has been working in partnership with the Anglican Diocese of Ruaha (DR) in Iringa, Southern Tanzania for many years, assisting the Diocese with physical and spiritual development projects. A crucial need of many of the rural communities in this area is clean water. 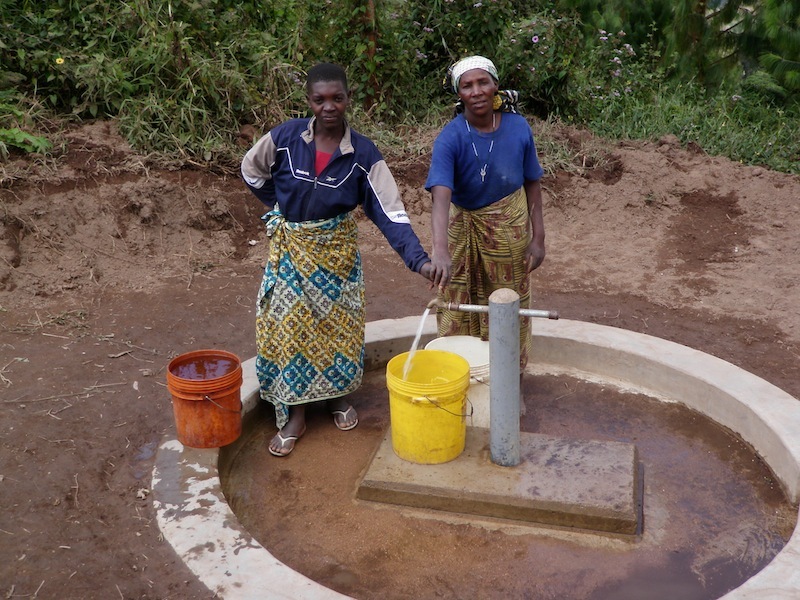 EI/DR have constructed gravity water supply systems in several communities in the Iringa Region, as well as rainwater harvesting (RWH) at rural schools and health care centres. Other aspects of past water projects has been the construction of latrines at schools, sanitation and hygiene training at schools, and the construction of concrete toilet slabs to improve existing household toilets. EI’s philosophy of using simple repeatable technology means that materials available locally are used in these projects and local people are trained to do the work themselves. The Water and Sanitation Engineer will oversee water and sanitation projects, having responsibility for project planning, sourcing and supply of materials, budgeting and reporting, coordinating hygiene and sanitation training. He or she will work alongside the Water and Sanitation Project Officer to supervise technicians in the field, and will in turn report to the EI team leader. He or she will liaise with staff of the Diocese in the field as well as at the head office in Iringa, and develop relationships with members of the church and the wider community in the field. He or she will also develop networks with other stakeholders in water and sanitation in Tanzania and beyond, as well as evaluating existing systems and researching alternative technologies. 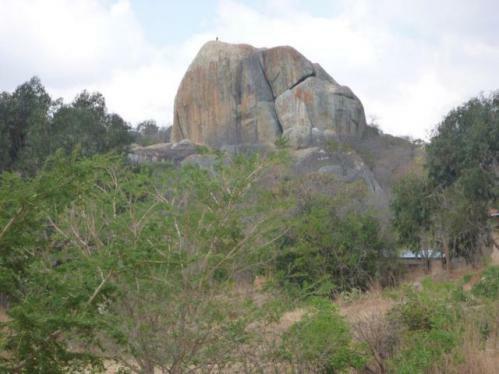 Prior to starting work the candidate will undertake a 1-2 month language course in the town of Iringa to learn Swahili. The candidate should have a degree or higher diploma (note that this is a requirement to obtain a residence permit for Tanzania). A background in engineering, construction, or project management would be an asset. The candidate should have excellent people skills and be a good communicator. A committed Christian faith is essential. A driving license is required. Please note adaptability is essential in cross-cultural development work. EI considers the following personal qualities to be just as important as formal qualifications and experience: flexibility, humility, servant heartedness, and willingness to learn. EI staff live and work alongside local people and value this serving relationship. Emmanuel International (EI) has partnered primarily with the Anglican Diocese of Ruaha (DR) but is also developing a partnership with the Pentecostal Holiness Mission (PHM) in Iringa in the Southern Highlands of Tanzania. The mission of PHM is “to do all we can for the salvation of the lost, giving aid to the needy, fallen and afflicted; bringing those in spiritual darkness the knowledge and love of God through preaching and teaching of His Word.” The church equips its pastors through Bethel Bible College in Mafinga, which currently has 18 students and 2 teachers. The mission of EI is “to encourage, equip and assist churches to serve the poor in holistic ministry.” Therefore EI has partnered with PHM and Bethel Bible College to equip its pastors for holistic ministry, seek opportunities for enabling local churches to become change agents in their communities, and strengthen PHM to fulfil its mission to meet spiritual and physical needs. The Church and Community Development Trainer will work with PHM and Bethel Bible College to train and equip pastors and evangelists in holistic ministry and seek opportunities to engage local churches in community development to build the capacity of our partner church to fulfil its mission. Developing and/or adapting curriculum on holistic ministry and appropriate community development technologies such as conservation agriculture, entrepreneurship, water and sanitation, etc. Working with PHM leadership to strengthen and develop the partner church through effective partnership and capacity building. The candidate should have a degree or diploma (note this is a requirement to obtain a residence permit for Tanzania). He or she should have 2 or more years Bible College education. A committed Christian faith is essential with experience of serving in the church. The candidate should have excellent people skills and be a good communicator. Administration skills are also an asset. A driving license is required. Please note adaptability is essential in cross-cultural development work. EI considers the following personal qualities to be just as important as formal qualifications and experience: flexibility, humility, servant heartedness, and willingness to learn. EI staff live and work alongside local people and value this serving relationship. We are a faith based Christian ministry. We believe that if God is calling us to serve Him, He will provide the resources we need. We do not offer salaried positions. We will assist you in raising your support. Emmanuel International (EI) has been working in partnership with Tanzania Assemblies of God (TAG) in the Mwanza region of Tanzania to help and expand their holistic mission and community development capabilities. Projects in conservation agriculture, tree planting, beekeeping, entrepreneurship and community health education are underway. EI and TAG have seen an opportunity to begin a project to assist rural pastoralists in the keeping of livestock. This project has the opportunity to dovetail with the arable conservation agriculture project, since there is often competition between pastorals and arable farmers over land use. Thus, the expectation is that this project will facilitate communities to consider the mutual benefits of keeping livestock and growing crops. The Coordinator will be responsible for overseeing a new project to improve livestock keeping among communities in the Mwanza region. 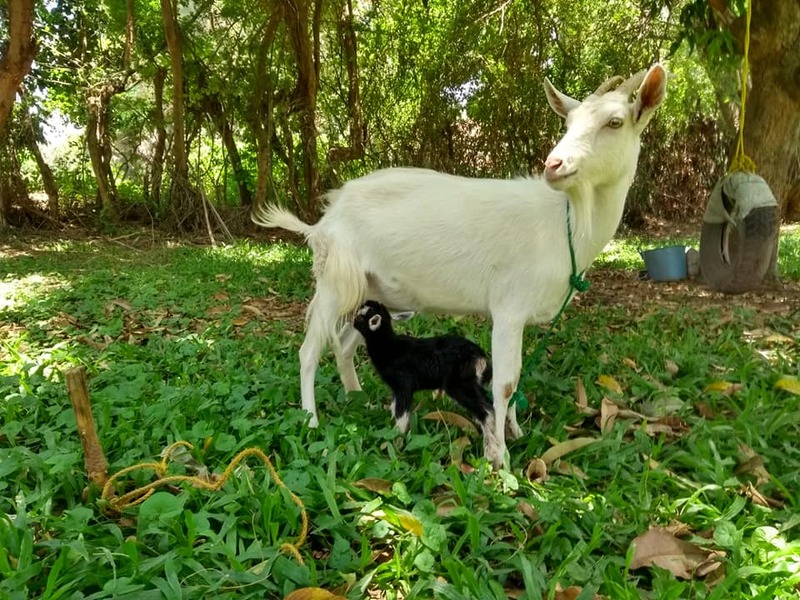 He or she, working in conjunction with the local church, will train groups of villagers in appropriate livestock practices, advising on animal healthcare, dietary requirements, herd grazing practices, reproduction and housing requirements as well as butchering and sales and marketing. He or she will also liaise with the conservation agriculture project manager to work towards the integration of conservation agriculture and livestock keeping.